It is now confirmed that the screening and confirmation of the ministers has been concluded. This is because the Senate President, Dr Bukola Saraki, has handed over the final list of ministers who scaled through the confirmation process. During the meeting in the Presidential Villa, the President again explained that the Federal Government might not be able to fund all the existing ministries, President Buhari emphasized that his administration would not have 36 ministries because of the economic downturn. Receiving the list of 36 ministerial nominees confirmed by the Senate from Dr Bukola Saraki, he commended the Senate for a job well done, especially as the National Assembly passed all the names he submitted. Telling his critics that they cannot stop him from telling the country the truth, he insisted that some of the ministers would stay without portfolio following an economy that has been battered. The Senate President himself acknowledged the economic challenges facing the country and said that the issue of portfolios should not be trivialized. 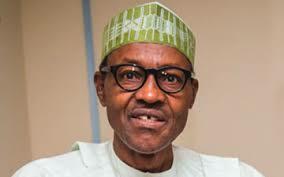 There have been expectations that President Buhari would assign portfolios to his ministers during the week as a source from the Presidency said that it is most likely that the President finalises all plans on the list and might make final pronouncement on the matter. The source also said that the list of ministers which has gone viral on the web should be disregarded as those who published those names and portfolios were merely making guesses.